You are here: Home / coaches / Would Your Youth Athlete Agree to this Code of Conduct? What should the code of conduct be for athletes? A few months ago, when Serena Williams lost her cool and got into it with the chair umpire during the U.S. Open, she provoked a lot of discussion about how athletes should behave as they play sports. Some felt that her outburst was understandable; others felt that she went too far. Which got me thinking. What standard are coaches and parents holding young athletes to these days? What should the expectations of behavior be for kids playing sports? High emotions are normal in youth sports and squashing them all together should not be the objective in setting a code of conduct. But kids need to understand how to deal with those emotions by learning how to control and channel them. 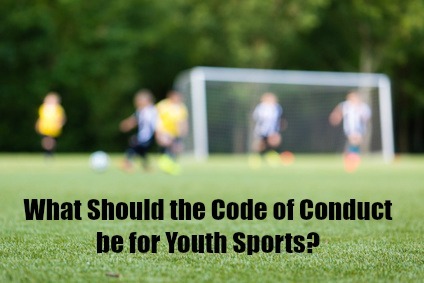 So what should the code of conduct be for youth athletes? I did some research to see what teams are asking of their athletes. This list is a result of consolidating the team behavioral requirements of several different youth sports teams. I will treat all athletes, coaches, and officials with respect before, during and after all contests. I will accept the decisions of officials without arguing. I will let the coach handle disputes. When I cheer for my teammates, I won’t get personal in my comments about opposing players, coaches, or officials. I will not use profanity or vulgarity or make racist or sexist comments. I will set a good example of behavior and show a good work ethic for younger teammates. I will attend all practices and team meetings unless excused by my coach. I will show respect for all facilities and other property (including locker rooms) used during practices, tournaments, and team activities. I will recognize and show appreciation for good plays from my opponent. I will work hard to protect my school, team and league’s reputation. I will not allow others’ negative sportsmanship to become an excuse to do the same. Would your young athlete agree to this code of conduct? Is there anything you would add or subtract? I’d love to suggest that coaches and parents use these guidelines to come up with a code of conduct for your team. Post them on the fridge and in the locker room. Let kids know what is expected of them. Playing youth sports should be more than just improving stats or winning games; it should be about developing character and if you are not holding your kids to a standard of behavior, you are missing out on an opportunity to do that. But there’s a catch, parents. This means that YOU need to abide by this code of conduct too. You cannot ask more of your kids than you are willing to do. 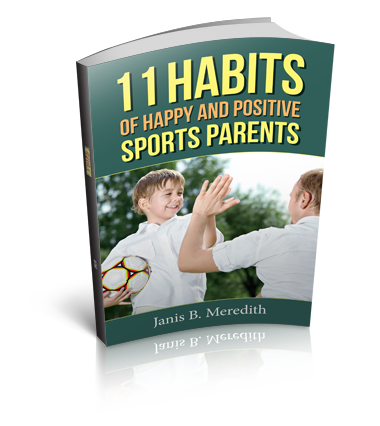 Are you dealing with behavior challenges with your young athlete and are not quite sure how to handle them? I’m a family/parenting coach and I’d love to help you find a solution. Schedule a free 15-minute consult call to see if family/parenting coaching is right for you.